This is the second public beta Internet Explorer 8. 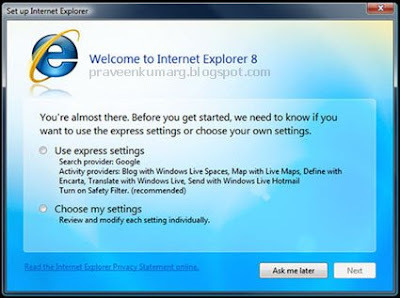 There are many improvements that are included in this public beta, which makes Internet Explorer 8 more secure. InPrivate Browsing, Delete Browsing History, InPrivate Blocking and InPrivate Subscriptions are in fact the new privacy options added to IE8 Beta 2. While ultimately praised as features associated with users accessing adult content without leaving any traces, enhanced privacy capabilities offer a high degree of control over personal data.